Hanoi (VNA) - Deputy Prime Minister Trinh Dinh Dung has approved a proposal to build a coal shipment port in the southern region. The deputy PM assigned the Ministry of Industry and Trade in cooperation with the Ministry of Transport and relevant agencies to complete the port construction feasibility report. The port will carry coal to thermo-power plants in the Mekong Delta region. As per the deputy PM’s instruction, the ministries will propose coal shipment plans to serve the urgent thermo-power plant demand in the region while building suitable investment plans to submit to PM Nguyen Xuan Phuc for approval. According to the national electricity development master plan, the Mekong Delta region will have seven major thermo-power centres, including Long Phu, Song Hau, Duyen Hai, Bac Lieu, An Giang, Kien Luong and Tien Giang. The total demand of imported coal for the thermo-power centres would be around 11 million tonnes by 2020 and 22 million tonnes by 2025. The coal demand would increase to 43 million tonnes by 2030. 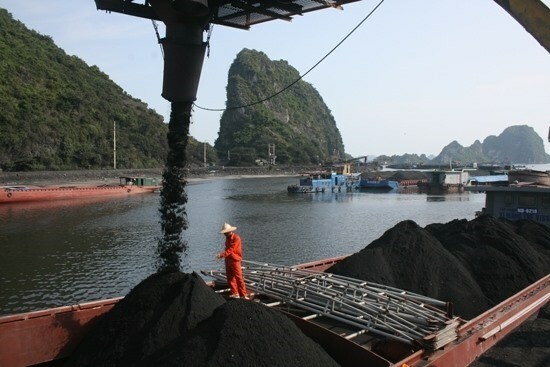 Local coal resources have been concentrated in the northeastern province of Quang Ninh which mainly serve for thermo-power centres in the northern and central provinces.